Founder and Director Emeritus, Sangre de Cristo Seminary. Teaches Old and New Testament Exegesis. Member: Rocky Mountain Presbytery, Presbyterian Church in America. D.Min., Eastern Baptist Theological Seminary; Th.M., Chicago Graduate School of Theology; M.Div., Memphis Theological Seminary; B.A., Bob Jones University. Retired United States Navy Chaplain. President, Sangre de Cristo Seminary. Teaches Preaching and Old Testament Hebrew. Member: Rocky Mountain Presbytery, Presbyterian Church in America. D.Min., Gordon Conwell Theological Seminary; Th.M ., Covenant Theological Seminary; M.Div., Sangre de Cristo Seminary; B.A., Covenant College; C.P.E. Advanced Status. Pastoral experience and Retired Army Reserve Chaplain. Dr. Dominic A. Aquilla, President and Professor of Pastoral Ministry, New Geneva Theological Seminary. D.Min., Westminster Theological Seminary; M.Div., Reformed Theological Seminary; B.A., Belhaven College. A prominent leader in the Presbyterian Church in America. Pastor. Dr. Rollin J. Blackburn: Professor of Biblical Languages and Literature, Philadelphia Theological Seminary; Pastor. Ph.D. Temple University; M. Div., Philadelphia Theological Seminary; M. A., B. A., Temple University. Dr. David W. Chapman: Associate Professor of New Testament and Biblical Archaeology, Covenant Theological Seminary; Ph. D., Cambridge (England); M. Div. and M.A., Trinity Evangelical Divinity School; B.A., Rice University. Dr. Douglas L. Coyle, Senior Pastor, Grace Covenant Church (PCA); Ph.D. Baylor University; M.Div., Westminster Theological Seminary, CA; B.S. SanDiego Christian College; Church Planter. Dr. Walter G. Cross III: Church Planting Missionary to Mexico. D. Min., Covenant Theological Seminary; M. Div., Covenant Theological Seminary; B. A., Columbia International University. Church planting missionary in Chile and Mexico City for 26 Years. Rev. Luke Evans, Associate Pastor, Rincon Mountain Presbyterian Church, Tucson, AZ; M. Div. Westminster Theological Seminary; B.A., Baylor University. Dr. Tony Felich, Senior Pastor, Redeemer Presbyterian Church (PCA), Overland park, KS; D. Arts, Whitefield Theological Seminary; M. Div. Covenant Theological Seminary; B.A. Moody Bible Institute; D. Min. Candidate, Midwestern Baptist Seminary. Ordained Teaching Elder, PCA 1998. Rev. Ron Graham, RPCNA Pastor (retired); M. Div., Reformed Presbyterian Theological Seminary; B.A. Geneva College. 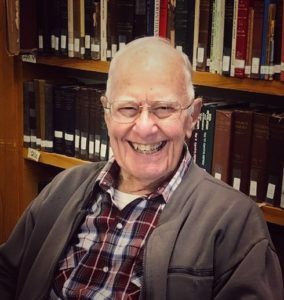 Dr. Louis Hill: President, Reformed Discipleship Ministries; Adjunct Professor of Spiritual Life and Theology, New Geneva Theological Seminary; D. Min., M.A.T.S., Reformed Theo. Sem. ; M. Ed., Auburn Univ. : B.A., Samford University. Conference Speaker, director of Navigator’s small town and rural network. Dr. Mark House, Registrar and Professor of Biblical Studies, New Geneva Theological Seminary; Ph.D., Fuller Theological Seminary; M. Div., Westminster Theological Seminary; B.A. Biola University. Former Academic editor for Hendrickson Publishers; 25 years of pastoral experience; Bible College instructor in Ukraine. Rev. Philip S. Kruis: Pastor, Rincon Mountain Presbyterian Church (PCA); Board President, La Vita House; M. Div. and Masters in Marriage and Family Therapy, Reformed Theological Seminary; B.A., Dordt College. Rev. Ron Kruis: M.Div., Sangre de Cristo Seminary; M.A.C., New Mexico State University; B.A., Dordt College. Pastoral experience. Rev. 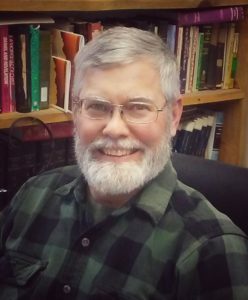 Randy C. Martin, Pastor, Covenant Presbyterian Church, (PCA); Former Biblical Studies Department Chair, Instructor in Ethics, Bakersfield Christian High School; M. Div., Covenant Theological Seminary; B.A. UCLA; Apologist and Writer. Rev. Jeff Pate, Pastor, Riverwood Presbyterian Church, Tuscaloosa, AL; M.Div. Sangre de Cristo Seminary; B.Ed. in Choral Music, Auburn University; Church Music Director; Former Director of the Wet Mountain Valley Chorale. Rev. Matthew Sexton, Pastor, Quinter Reformed Presbyterian Church. ; M.Litt., University of Glasgow; M.Div., Sangre de Cristo Seminary; B.S., Colorado State Univ.